And for those who have already set out with Search Engine Marketing this article will value add with some actionable tips in doing it right, especially if you are looking to maximize your budget. Using Search Engines for marketing products & services has gained tremendous popularity over the last few years. As a matter of fact, various other online marketing channels have also gained greater acceptance in the last decade due to the ubiquity of the internet and proliferation of smartphones and tablets. Small and Medium-Sized Businesses with limited budgets may not have the luxury to keep dedicated sales reps or publish full page advertisements to do their marketing. Especially in economically advanced countries like Singapore where labour and staffing costs are high, online marketing channels such as Search Engines and Social Media can prove to be much more effective and efficient. Besides, in today’s information age a buyer’s buying journey typically begins with a Google Search. So, why not be visible there! Search Engines have proved to be an ideal platform for Direct Response marketing efforts. Google is King of the Hill in Search Technology and its highly successful Adwords platform provides a reach and sophistication that’s unparalleled. It is one of the most visited websites in the world, with a popularity that’s caused its name to become a verb! That makes Google Adwords one of the most preferred channels for advertising programmes that can deliver high ROI. Google Account – You’ll need an account with Google. Don’t worry, its Free! And you probably have it already if you use Gmail or any of the Google Services. * Google has an offering called Adwords Express whereby you can run Adwords without the need to have a website (by simply having a presence on Google My Business). However, this is only available in certain countries. Yes, this is all you’ll need to get started. Search Ads are plain text so a few words of enticing copy is enough. No imagery, No graphics if you stick to the Google Search Network for advertising. Google Display Network is where people go for banner ads, but for this post we’ll just talk about Search Network. Running a Google Adwords Campaign is no rocket science, though there are some intricacies and best practices that should be followed while planning and setting up the campaign initially. There are ample of resources, How-To’s, and Help available on Google Adwords Support if you wish to D-I-Y or get your staff to try out in-house. There’s of course a host of agencies out there whom you can hire to setup and manage, or you can hire someone initially and then manage it yourself on an on-going basis once you gain some level of familiarity in tweaking and fine-tuning. Let me share more on each of these approaches which I hope will help you make an informed decision. 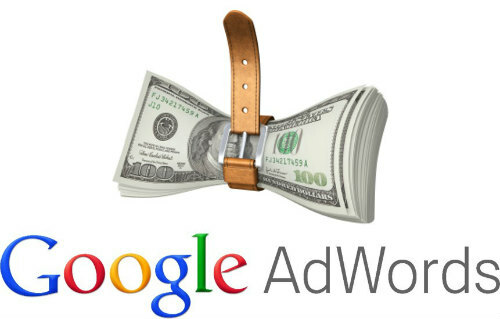 Creating and running a Google Adwords Campaigns is certainly a doable task for the Average Joe. You’ll find plenty of explainer videos, guides online help and phone Support from Google (unlike its other free services) to get you started and setup a basic Ad campaign. It all boils down to spending the time and having the discipline to follow the prescribed guidelines. After quick approval which is done automatically by an internal Algorithm, your Ad will begin to show when users search on Google. Placement (position) of your Ad is primarily a function of your default Bid i.e. the max Cost-Per-Click (CPC) and the Quality Score of your Ads. The actual price you pay to Google is computed based on an auction mechanism and usually comes out to lower than the max CPC bided for. Your Quality Score plays an important role in determining what you’ll pay for the position of your Ad. The higher the score, the lesser you pay. 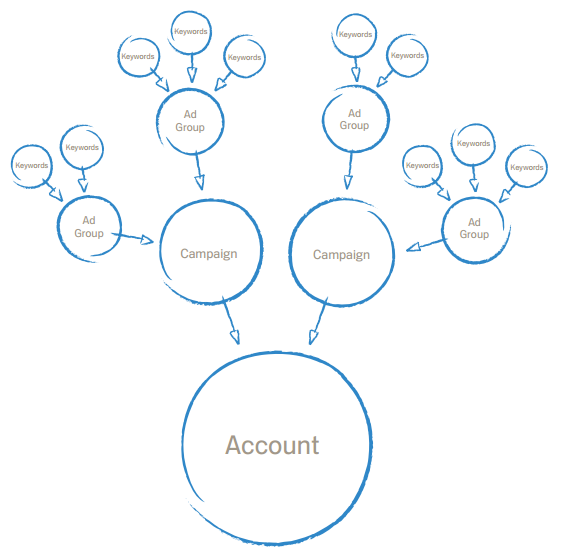 It may be worthwhile seeking help from professionals to setup your Campaigns. Earning a high Quality Score for the Ads, Optimizing Bids with the right CPC, correct usage of Ad Extensions, etc have a huge bearing on how efficiently your Adwords campaign will run and deliver the needed ROI on your spend. Once a campaign is setup in an orderly, optimized manner and fine-tuned after few initial runs, the on-going monitoring and tweaking (if required) is a breeze. It can be managed by a spending a few minutes once a week by anyone who has some familiarity of the platform. I’d highly recommend this approach to businesses who want the best of both worlds. As mentioned there’s a lot of good Digital Marketing Agencies that manage Search Advertising Campaigns. You may want to look for agencies that are Google Partners or have Adwords Certified individuals in their team. This would ensure that your campaigns are implemented with the recommended best practices. As for the fees, different agencies may charge in a different way. Some charge hourly consultancy rates or quote a fixed price for their efforts. Others may charge a setup fee and then take a percentage of the Ad spend on an on-going basis as management fees. Made it this far? So, if you read all of this then I hope I have been able to give some clarity on how Paid Search Marketing can be leveraged to generate leads and drive sales for your business. Here’s wishing you all the best on your online marketing journey.